Our fastest browser for Android is purpose-built for what you want to do online. It's simple and intuitive to use. 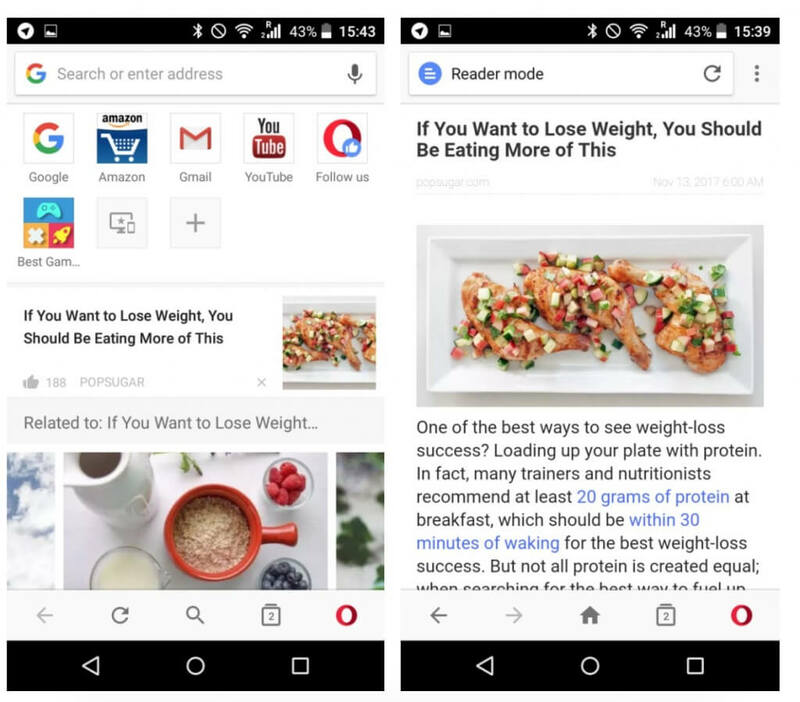 Check out the Discover feature in Opera for Android to get recommendations for news, entertainment and other popular content tailored for you. 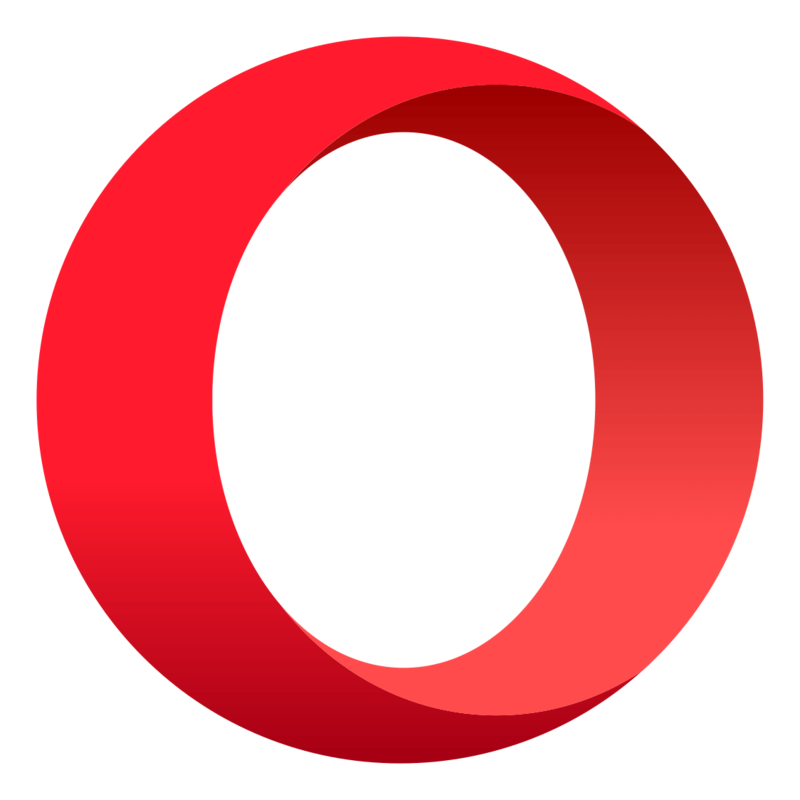 Opera’s Speed Dial displays your favorites, bookmarks and saved pages as a gallery of images. Add folders or reorder your Speed Dial with the swipe of a finger. On a slow connection? Or need to control your Android’s data use? Switch to Off-Road mode in Opera to save data and browse faster. With Opera’s solid track record on security and data privacy, you can browse with confidence. Start, stop, resume, save and rename movies, music and other downloads at your convenience. Search better. 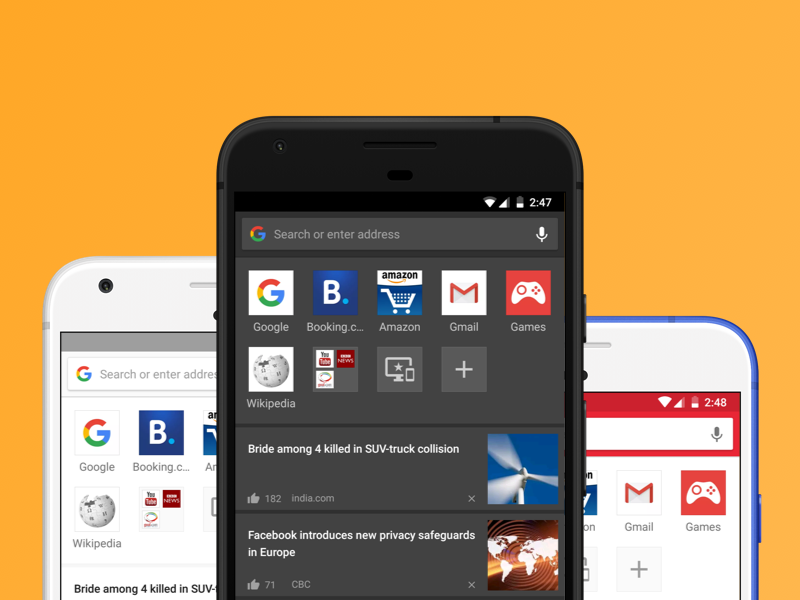 Do more online using less data, with the Opera browser. It’s our best all-in-one app for Android. Fast and easy to use: Our fastest browser for Android loads webpages almost instantly, in the right size and format for your phone. Keep your connection: Browse at high speed outside 3G coverage with Off-Road mode. News for you: Find out what’s happening with the Discover feature, your personal news feed. Instant favourites: Set your top sites and bookmarks in the Speed Dial - open them with one click! Music, movies and more: Start, stop, resume, save and rename the media files you keep on your phone with our download manager. 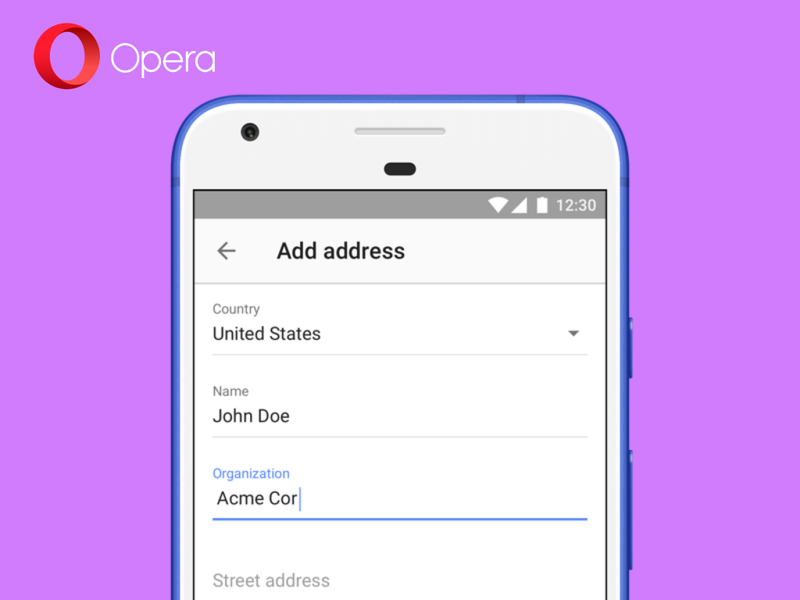 Opera, the Norwegian browser developer, released a new version of its mobile browser, Opera for Android 51, which now features a built-in VPN service. When users enable the built-in VPN, they will create a private and encrypted connection between their mobile devices and a remote VPN server, using strong 256-bit encryption algorithms. When enabled, the VPN will hide the user physical location and will make it hard to track their behavior on the Web. The browser VPN service is also a no-log service, which means that the VPN servers do not log and retain any activity data, all to protect users privacy. 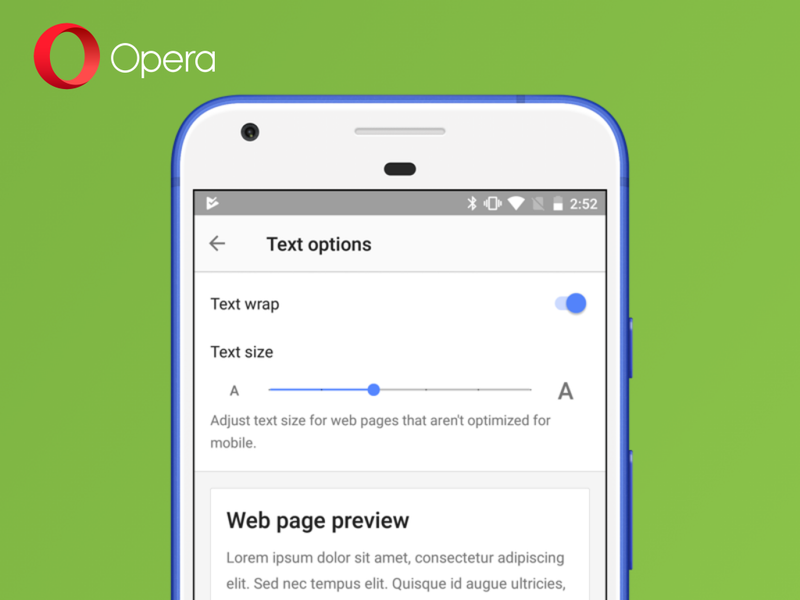 Since Opera for Android 50, our native ad blocker has become more powerful than ever before as we have now included a new site-specific setting. This feature was implemented in our Opera browser for computers back in 2016 and today we are bringing this experience to our mobile browser. The site-specific ad blocker option is also a friendly solution for publishers to display their ads. It’s also an easy solution for users as they can switch the ad blocker on or off in two taps on the websites that they value the most. This option can be enabled from the search bar of the browser. Users can tap on the green lock located at the left side of the website address which will display a window with site settings. Users can then choose to exclude a website from ad blocking. The team has done a lot of work under the hood to improve the cookie dialog blocking feature, which is receiving greater site coverage. Other noteworthy features include a simpler way to open PDF files and other documents, support for dark CSS themes, picture-in-picture support for videos (Android 8 and above), and a nifty new fast scroller for quicker page navigation. The scroll handle also acts as the quick jump tool used in previous versions of Opera. Tap the handle when the arrow points up or down to go to the very beginning or end of a web page. To our friends in the Baltic states, we are happy to inform you that Opera has been translated into your respective languages. Estonian, Latvian and Lithuanian languages are now available in Opera 50. Nautima! Izbaudi! Mėgautis! We are happy to announce themes! Now you can browse with your own style. Tweak the color theme and join the dark side, or the light… or enjoy the classic Opera red. You’ll find these themes in Settings. Reading content is mostly what a web browser is about. Now, it will be even more convenient to read late at night. Experience less eyestrain and more comfortable reading in the dark with the new night mode, which is easily accessible from the main menu. If you are using our private tabs to keep some things to yourself, there will now be a small ghost as a reminder of these open private tabs in the notification tray. Tapping this notification will close all your private tabs. Want to copy or paste a web address? This is now available with one tap from the address bar. There is now also a QR code scanner. Just tap the icon found in the right side of the address bar instead of manually entering the address. Oh, and upon request from our users, you can now turn off trending searches suggestions if you don’t like seeing them. You will find this option in Settings. With new privacy regulations, we have seen a noticeable increase of cookie and privacy dialogs in our browsers. Sometimes, I want to rip out my hair over all the checkboxes and accept buttons to press just to get to the content that matters! We have extended on our ad blocker technology to optionally include the elimination of the vast majority of these cookie and privacy dialogs. Simply go into Settings > Ad blocking to find the option to enable this. We work hard on streamlining the browser experience for you, but we are all individuals. Most of you appreciate having a new tab open when you return to the browser after some time. For those of you that don’t appreciate this, we’ve added a setting that controls how Opera will reopen active tabs when you continue in the browser. You can also choose to close or preserve your open tabs when you exit the browser. If you are using a phone with Android version 7.1 or later, we have added home screen shortcuts to get you right into the product where you want to be. To create your own home screen shortcut, long tap on the Opera icon in your device’s home screen and tap to select, or long tap to create a permanent link to the desired function. In the previous version of Opera, we added support for storing your credit card information. But we realized that this was not made convenient enough. We have now simplified this by enabling you to save this information directly from within a purchase process. You will now also be able to opt in for automatic saving of passwords. Are you suffering from web pages with small text? We have included a text size setting which will affect the general text layout of the web page according to your preferences. We’ve made sure that it works perfectly together with our unique text wrap feature for an unparalleled reading experience. As always, there have been various small fixes in the UI. A completely new clear data dialog for the application has been built. This puts you in power to clear data according to your preferences in a detailed fashion. We have made improvements to the autofill system so that you can be in better control of your data. 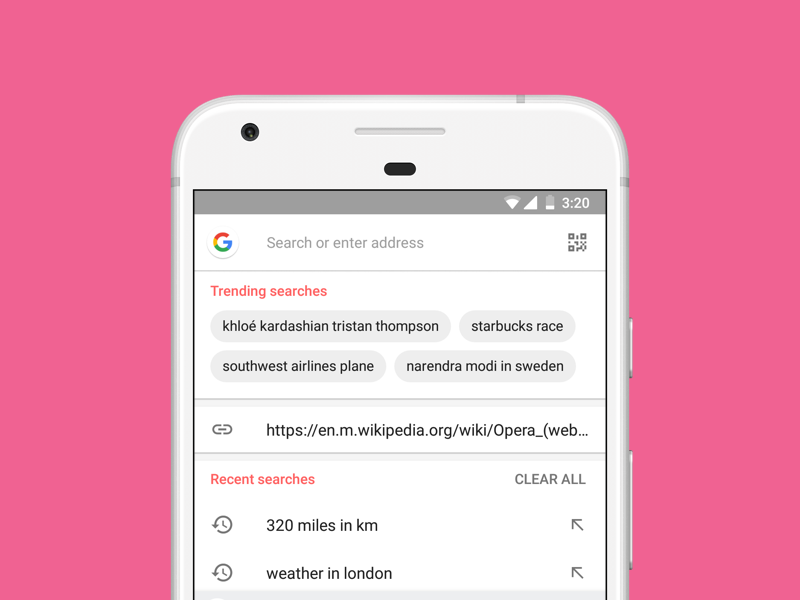 Removing unwanted items has also become easier, with long press to remove autofill items, and swiping to remove recent search items in the omnibar. Finally, we have added an office favorite feature as a default behavior in Opera: force enabling zoom for all web pages, regardless of web page CSS/meta overrides, keeps you in control on how to interact with the page.